Choose your peridot bracelet or peridot bangle from the collection below. 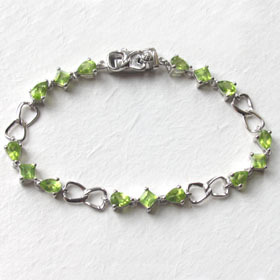 Each peridot bracelet is set in sterling silver and the peridot bangles are sterling silver inlaid with peridot gemstones. 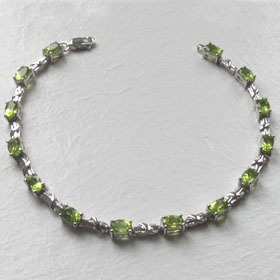 Remember - Free shipping on all our peridot bracelets and bangles.